Architectural Kits, Turntables, Station Accessories, etc. 2nd February. Prices have been updated but we are having problems with the Brake Vans, etc. page. Some formatting, text and photograph links have “disappeared” and it will be some time before these are recovered and replaced. All price revisions have been correctly applied (touch wood!). I have now sold out of Mashima motors and regrettably unable to obtain any more. I am looking into suitable alternatives. 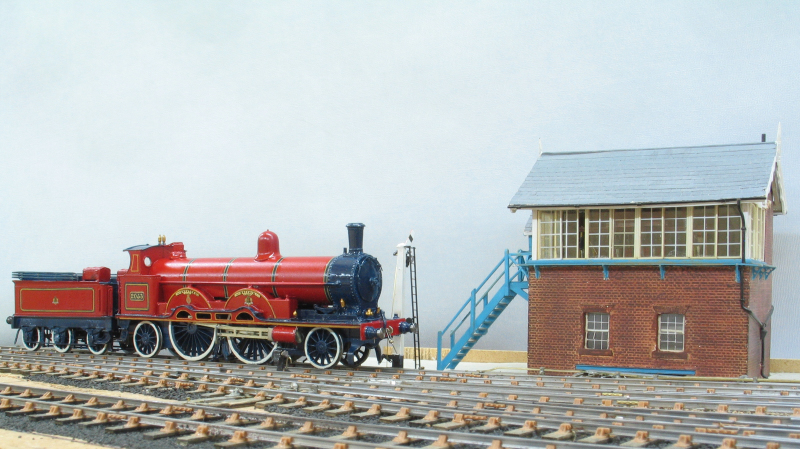 We now supply several LNWR wagons formerly in Nick Easton’s BIWO range. Now supplied as complete kits, these are; Diag 77A Trolley wagon, Diag 82 Boiler trolley, Diag 97 Platform trolley, and Diag 105/106. This last kit will build either the D105 four wheel boiler trolley or the D106 Chemical pan trolley. 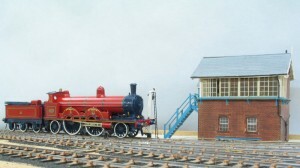 GNR/LNER Q2 0-8-0 kit. This kit was developed by Frank Davies for the Shipley MRS Clayton project, as featured in a recent MRJ, the build also has a blog on RMWeb. The kit is beautifully designed, and etched in brass and nickel silver with optional parts to build inside valve gear, which can be made to work if required. Castings are mainly in brass. Also new is a LNWR 30′ 1″ Double veranda Inspection Saloon. An example of this unusual and attractive carriage is preserved on the K&ESR As with our other 30′ 1″ and 32′ six wheel carriages, this kit includes a Cleminson underframe. MR Railmotor. Etched body in 12 thou brass, it is designed to be built in small sections which will help with painting and lining, which then bolt onto the floor unit. The power bogie has full outside walschaerts valve gear and is etched in nickel silver, so we have included lots of spare parts! The kit will include cast nickle silver crossheads to simplify assembly. NER S3/LNER B16 4-6-0. Previously available in the Steve Barnfield range of 4mm etched locos, this kit has been updated with an additional etch providing the later 49a type boiler and plain or beaded splashers . Please email for an update on progress and for prices. The well establised LRM Resistance Soldering Unit continues to be available, manufactured in small batches. Please contact us for availability. The probe and lead set supplied with the RSU is also available as a separate item. Details are in the “Soldering Materials and Tools” section of the “Various” pages. London Road Models has a Paypal account for customers wishing to pay using this option. Please email me with your order details. I’ll then sort the order out and send you a Paypal invoice. Once payment is made the items will be dispatched in my normal postal routine. (c) 2019 London Road Models. All rights reserved. - Site configured by RobM Hosted by the Scalefour Society.